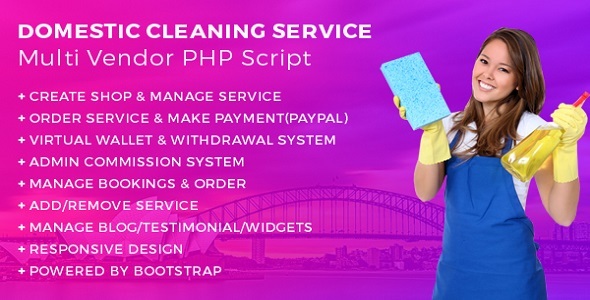 A new fully functional cleaning domestic service PHP script with admin panel features – Clean Master. 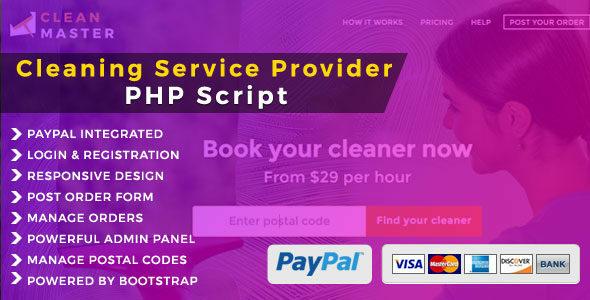 Clean master helps you to launch fully functional cleaning service php script. its works like plug & play. 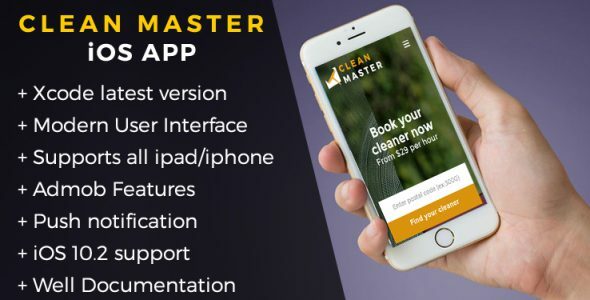 Responsive mobile device features are available. 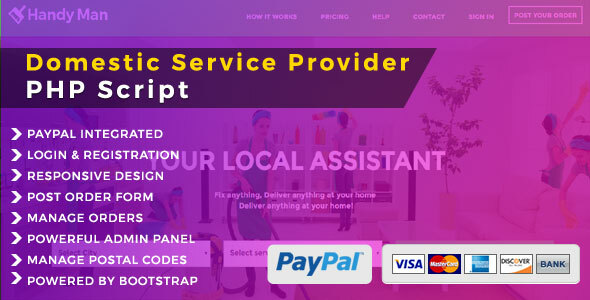 Admin can add / remove any services & sub services from backend. Finally its comes with SEO friendly. Admin can manage keywords & meta description from admin panel.